For any emergency dial 000 or go straight to the Launceston General Hospital. For any urgent needs during times when the Practice is unattended please call the Launceston After Hours Medical Service on 6331 4588, Health Direct Australia on 1800 022 222 or visit www.tasafterhours.com to find your closest available clinic. Prospect Medical Centre is committed to providing the highest quality healthcare to each patient with the utmost professionalism and sensitivity. Our aim is to deliver this care by ensuring excellence in all aspects of our practice. We endeavour to provide patients with the best and most current treatments, methods, materials and equipment, and where possible, preventative care within our resource capabilities. Our patients come first and have come to expect superior service and care, both of which we strive to deliver every day. 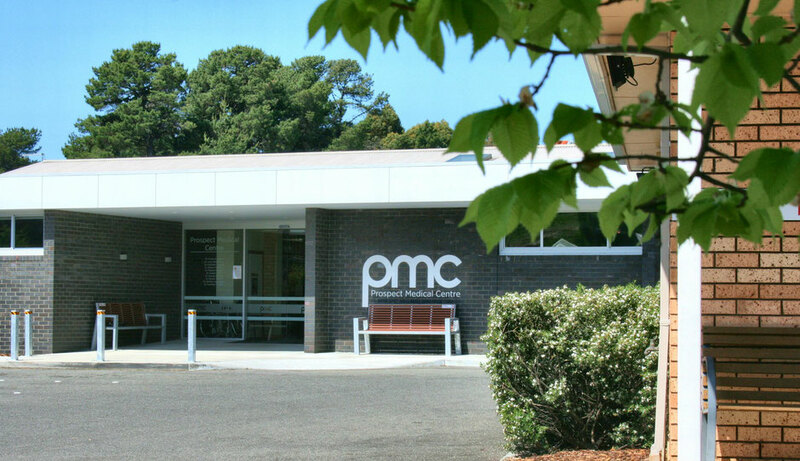 Prospect Medical Centre was established in 1981 to service Launceston and surrounds, providing quality healthcare to patients of all ages. We understand that no two patients are the same, therefore we strive to create an individual care plan for each person who arrives at our doors. An extensive range of services is available to new and existing patients, including allied health. Prospect Medical Centre strives to deliver an individual, professional, caring approach to health. Our wide range of services and experienced medical professionals mean patients can expect thorough and informed support of the highest standard. Since the doors opened more than 3 decades ago, our qualified, enthusiastic, friendly team of GPs, allied health practitioners, nurses and administrative staff has grown according to the demands and needs of the community. We constantly seek to improve our skills and adapt the latest procedures and approaches to healthcare. All Doctors at Prospect Medical Centre are Vocationally Registered General Practitioners. They have a commitment to continuing professional education and to provide the best possible medical care for their patients. Prospect Allied Health offers many allied health services including a Dietitian, Podiatrist, a Diabetes Nurse Educator, a clinical Psychologist, Mental Health Nurse and a General Practitioner specialising in skin. Prospect Medical Centre is located just off Westbury Rd in Trotters Lane just behind the Olde Tudor Supermarket. Appointments can be made by phoning 6344 7991 between 8:30am and 6:00pm, Monday to Friday.